It's been 3 months since the tropical cyclone caused damage in the Philippines. Storm Washi was a late-season tropical cyclone and it made landfall on December 16 bringing a massive destruction along the riverside areas. 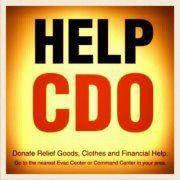 Cagayan de Oro City was hit hard, hundreds are dead and hundreds are missing, and feared to have died. My aunt's family and all the neighbors were among the survivors. After three months, some of the houses in their neighborhood are still in ruin. If you have relatives and friends, check on them. They might need your help. My aunt and her family went back to their house two months ago and they tried to get back on their feet. They are okay and I hope, you too would check your family and friends back home. If you are a stranger and wanted to help, leave a message and I can give you a name which you can direct your help to them.